If you spot a Swede having his afternoon tea, he is doing what they called Fika. A cup of coffee, together with some pastries or sandwiches, it is an activity that Swedes, and many of us, resonates with. 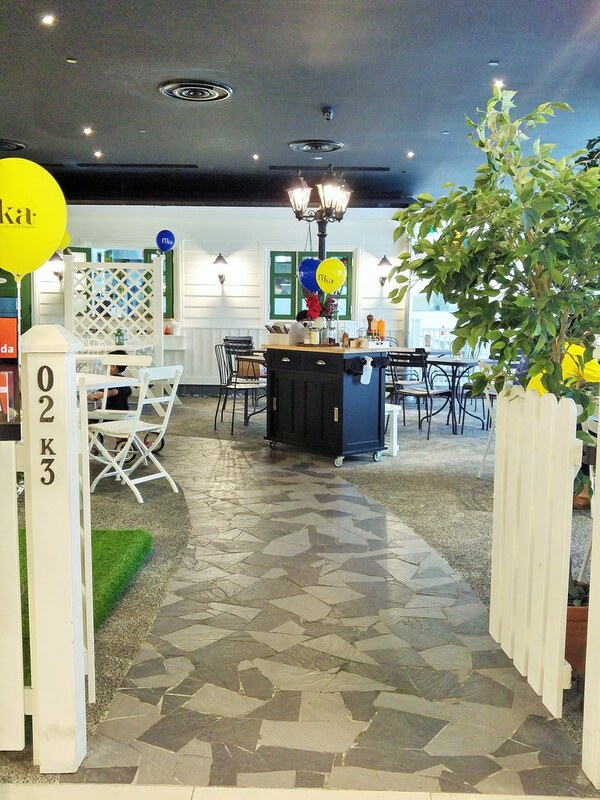 I chanced upon the concept of fika when researching for my Scandinavian trip last year, and coming to Fika Swedish Cafe & Bistro at OneKM Mall gave me the chance to try food that I have missed out during my short vacation in Sweden. A flagstone footpath led us into the porch of Fika. Behind the white painted walls I could see the hosts busy preparing food for their guests. What's eye-catching is the Falu red wall, a colour unique to Sweden. This is the centralised work station that churns out all the cakes and pastries that you will taste in all of Fika's outlets. This is a traditional Swedish setting, where guests are host at the porch. 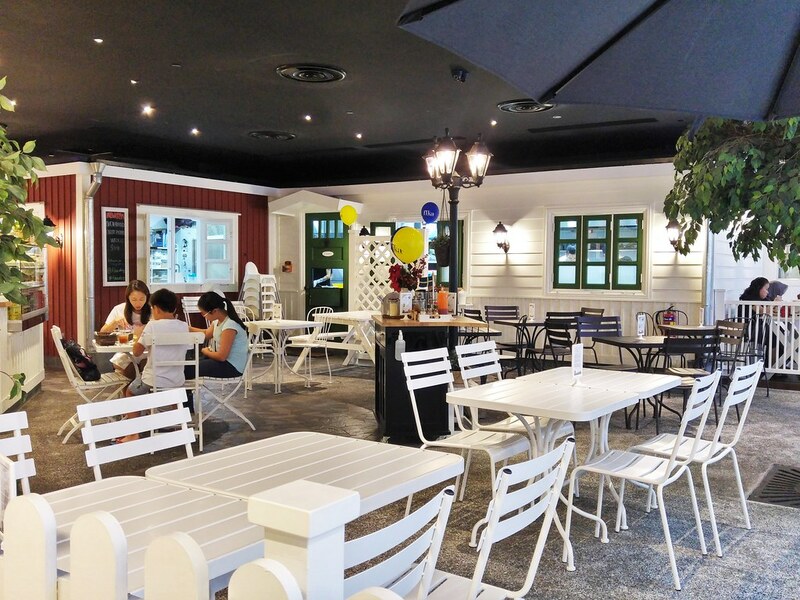 There are two other Fika outlets in Singapore with their respective theme - at Arab Street, you will find yourself dining inside their Swedish house, while at Millenia Walk, contemporary is the mood. It was a really hot day, hence I opted for a cold Rosehip Soup - (Nyponsoppa) for a refreshing start. It is sweet with a hint of sourness, almost like a hawthorn drink, but with a viscosity. I had 2 salads - Red Beet Salad - Rödbetssallad ($7.90) and Långedrag ($18.90). 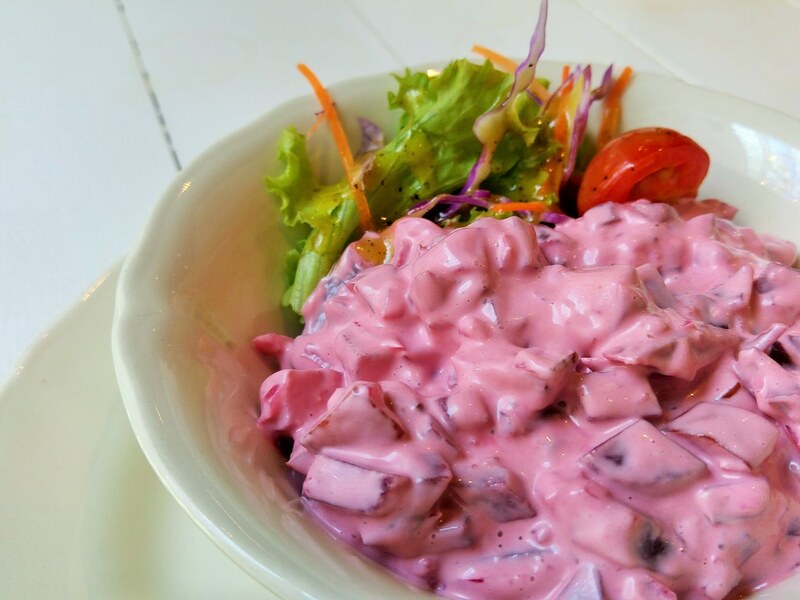 Red beet is more like a side dish, similar to a coleslaw but made with pickled beets and apple. The beets are pickled, which makes it really appetising, and despite its strong flavour, it blends really well with the sweetness of the apple. I could have wiped the bowl clean, really, should it have not been drown by the mayonnaise. 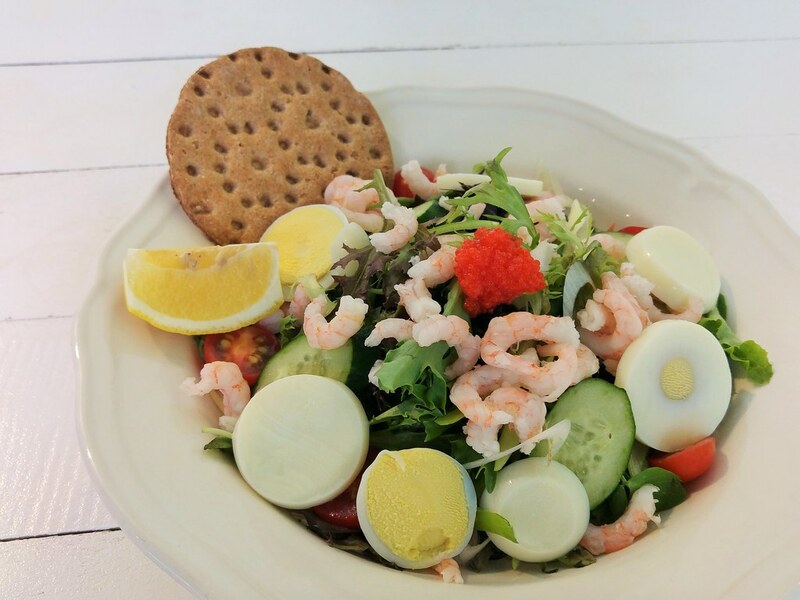 Långedrag is your typical salad, but topped with Swedish fresh-water shrimps. Despite their miniscule physic, each of them may surprise you with its concentrated sweet, savoury taste. Hence, just a handful of it is enough to dress the entire plate of greens. 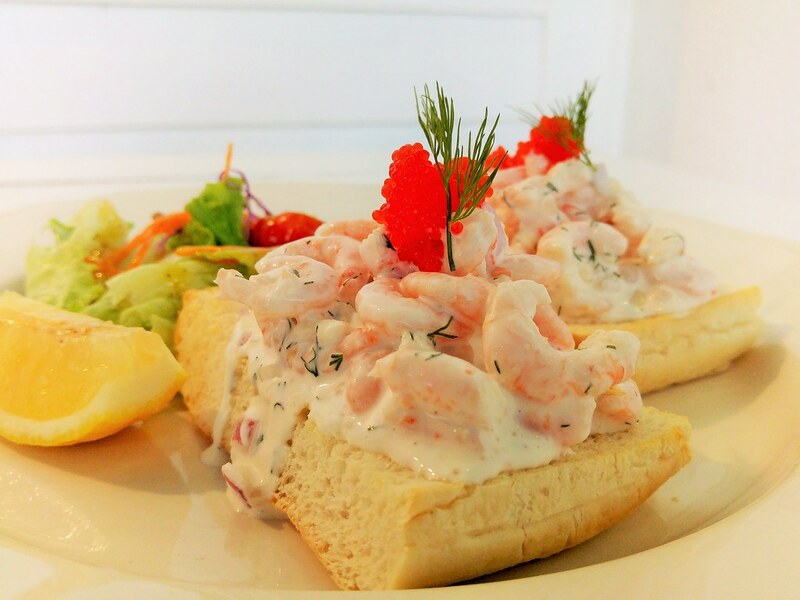 Swedish fresh-water shrimps goes well not just with salads, but great on toasts too. When mixed with mayonnaise and dills, it forms a creamy, savoury topping with a crunch. A dash of lemon will balance the taste with tang and acidity. The first time I had this was at Smor at One Raffles Place, which made me go searching for it all the time during my trip in Scandinavia. It is not typically offered elsewhere in other places, perhaps due to the high cost of the imported ingredients. Although I find the price rather steep for sandwiches, but go for Toast Skagen ($21.90) if you want to enjoy the beauty of these tiny shrimps. 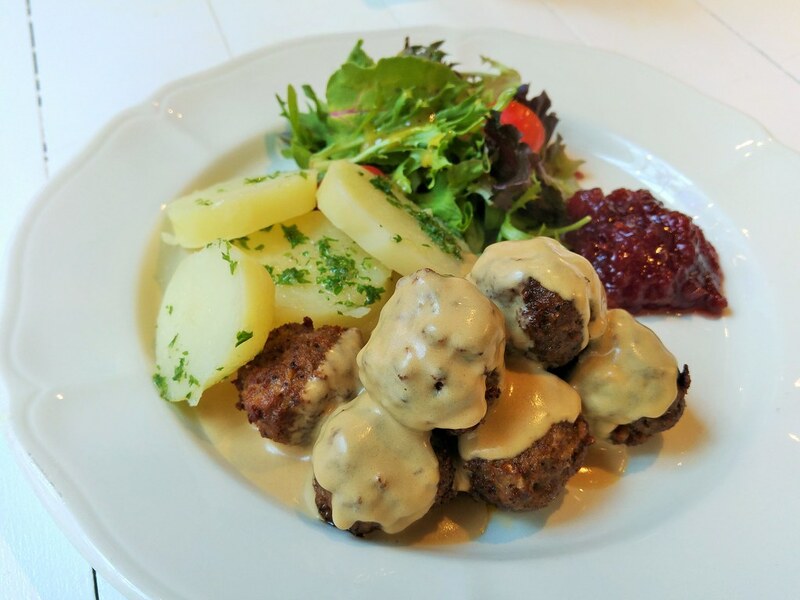 For mains, I'm sure you are quite familiar with Swedish Meatballs - Köttbullar med persiljepotatis och lingonsylt ($19.90), a dish imprinted in many of our mind to be primarily what Swedish cuisine is about, after Ikea at Queensway first introduced it to us. However, nothing can compared to freshly made meatballs, especially when they are fat and juicy, well peppered, spiced and salted. 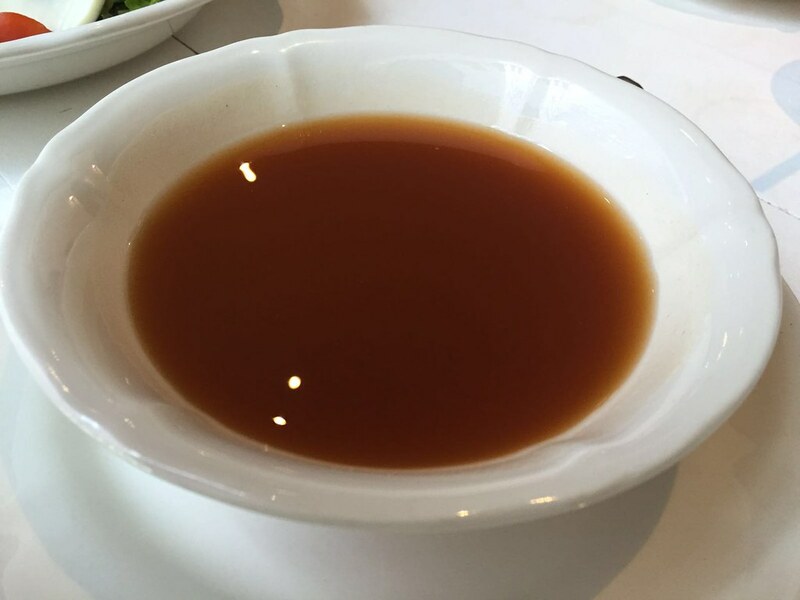 A traditional brown sauce for meatballs consists beef broth and sour cream, hence you get that beefiness spiked with a bit of tang. Piquant, but not too creamy nor heavy, which complements the flavour of the meatballs well. Accessorised with the tart Swedish's staple lingonberry jam, every bite of the meatball is packed with an array of flavours, and most importantly, without the gaminess. Salmon, apart from herring, is common in Nordic cuisine, smoked salmon especially. Over here at Fika, they have a Swedish inspired Herb-crusted Salmon - Kryddbakad lax med glaserade rödbetor och citronsmörsås ($26.50). 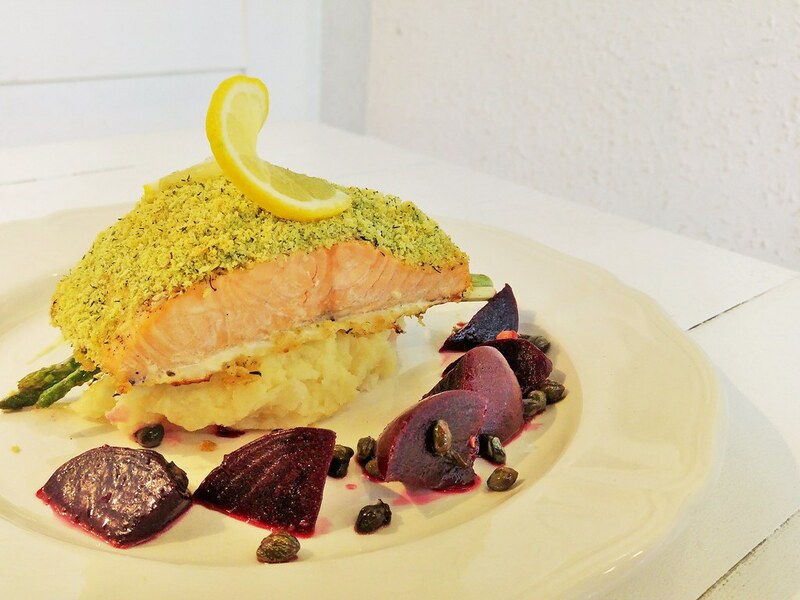 Like the meatballs, the salmon was gracefully plated atop potato mash, with a layer of beautiful herb crust. The salmon was tender and flaky, however, the much anticipated herb crust falls flat with its flavorless profile. A very wholesome and nutritious dish nonetheless, given its portion and the choice of side dishes. More conventional options are available, such as pasta. We tried their recommended Creamy Pasta - Krämig pasta ($21.90). 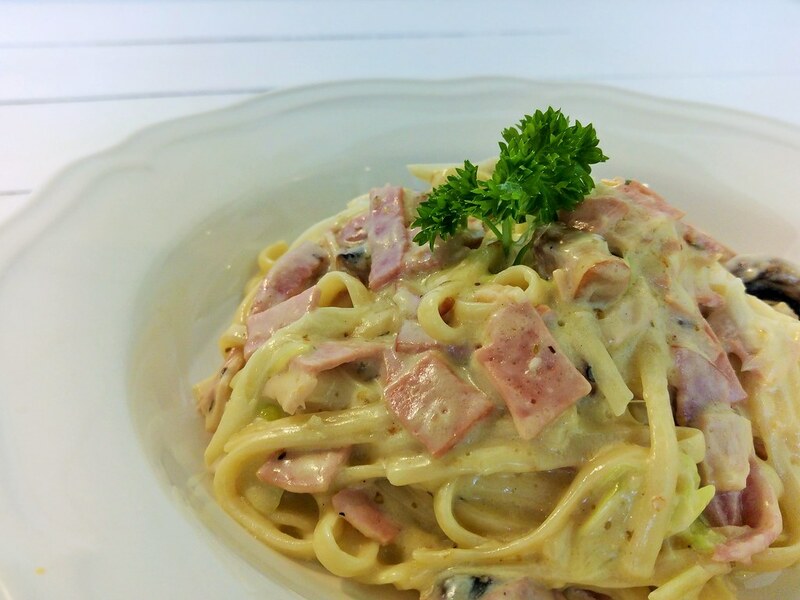 Apart from turkey ham, there are leek and mushrooms, hence I considered it as a healthier option of Carbonara. I would appreciate if there is more doses of leek as the pasta seems to be overwhelmed with ham. 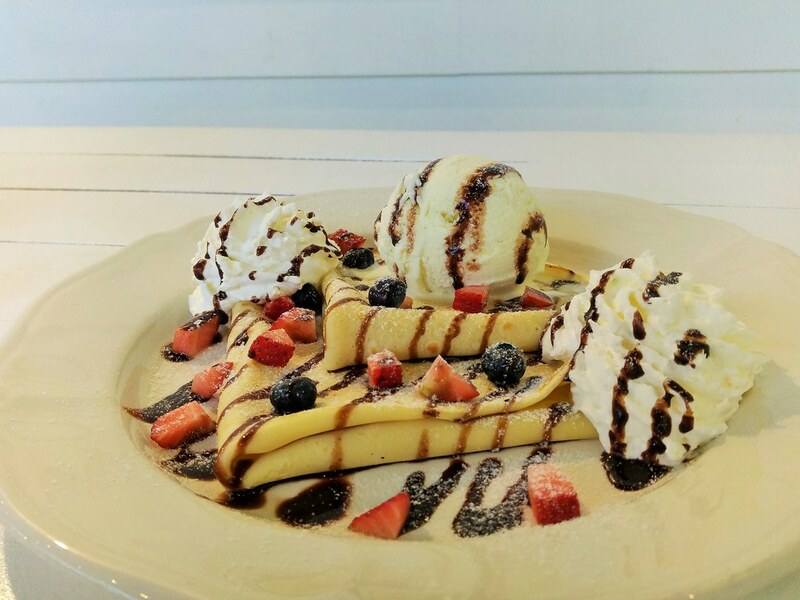 With everything baked in house, we couldn't leave without trying the dessert, could we? Although we were really filled. 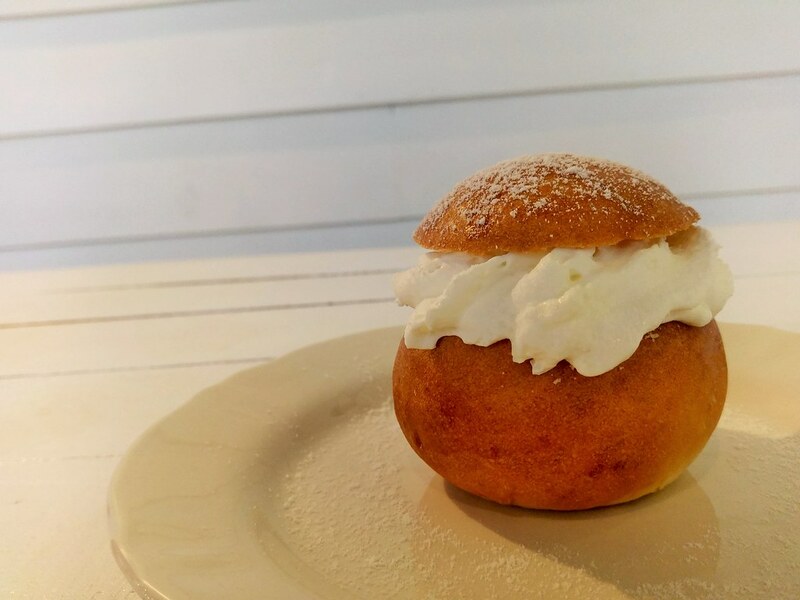 We were in time for their once-a-year dessert - Semla ($4.90). After trying, indeed, it is as described - doughy buns of sin. Each Semla is a cocoon of a thick and oozy almond paste, that comforts the souls of many Swedes residing in Singapore. I can imagine having it in front of a fireplace, where I'm warmly hugged by a comforter. However, over here, I just couldn't agree with its level of sweetness. We also had their Swedish Pancakes - Pannkakor med bär, chokladsås och vispad grädde ($12.90 Ice-cream top-up: Vanilla $1.50). I learnt that Swedish Pancakes are thicker and eggier than French Crepes, rather than airy and fluffy. Given such a texture, I believe their savoury crepes will be better choice. We saw that the very traditional Princess Cake is on the menu too, but it wasn't ready for us that day. Next time perhaps. If you just want to enjoy the ambience, do drop by for their unique selection of drinks. 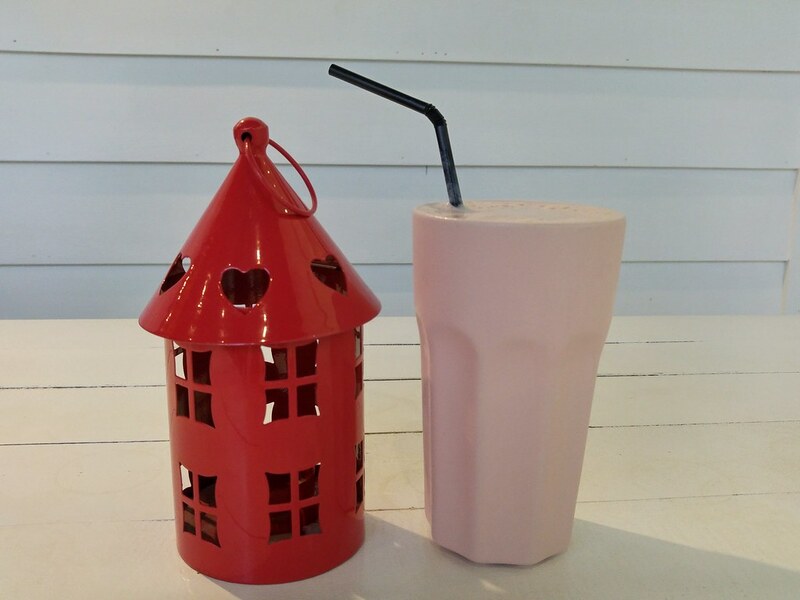 Cold, rich and creamy, their Lingonberry Milkshake will be worth your calories. Dining here at Fika has been a very enjoyable experience. Despite it being inside a mall, I felt like I have been sheltered away from the hustle and bustle of the weekend crowd. 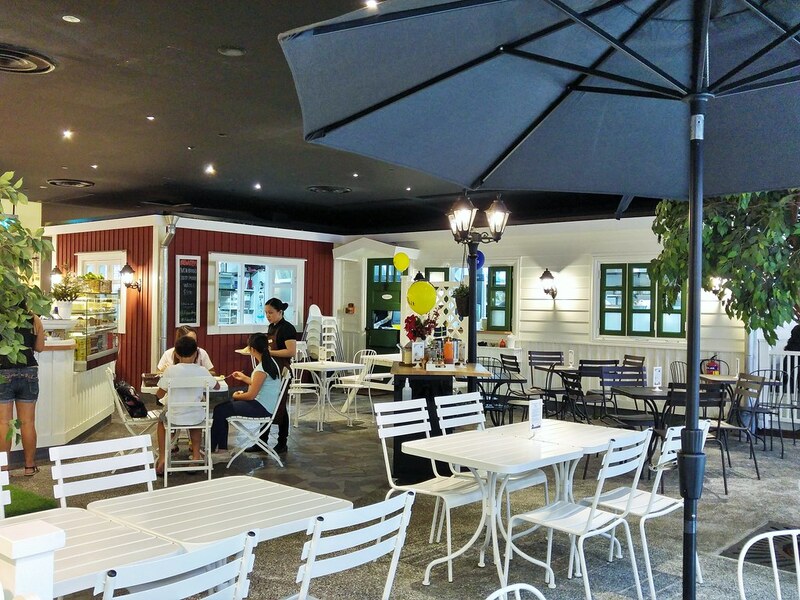 If you are curious about Swedish cuisine, this is perhaps the most accessible place that you can get. Sorry to say, but that all looks like sad attempts at Swedish food.